Domino's stylishly dressed (as purr usual) for the cold weather. 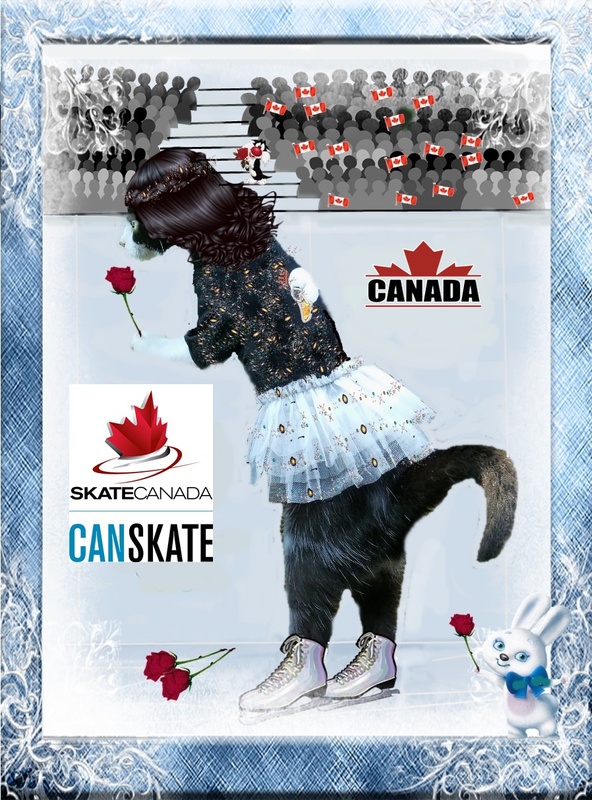 She's a pro when it comes to ice, being a top contender for Figure Skating in the Female Feline Division for Skate Canada, which is an international event. On this exciting day, Domino is wearing a retro pillbox-style wool hat with a diamond-shaped pattern in ivory and taupe. 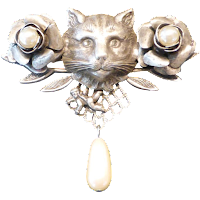 She is also sporting (she's very sporty, after all) a coordinating scarf in similar tones, fastened with a sterling silver pearl cat brooch. Voila! 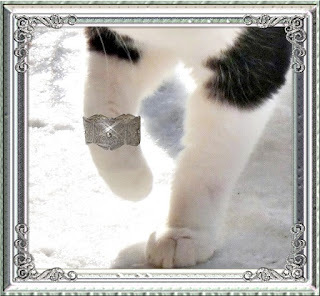 On her front paws she is wearing soft woollen mink-coloured mittens, and on her back feet she is well-heeled in taupe-coloured suede boots. Her purse is a shiny taupe shoulder bag with funky fringe. It's small just for carrying her essentials. Later that evening, Domino purrforms her short compulsory routine to the mewsic from 'The Phantom of the Opurra' to dramatic effect. She landed efurry jump and nailed each spin. She is a marvel to behold and rightly earns one of the top scores. 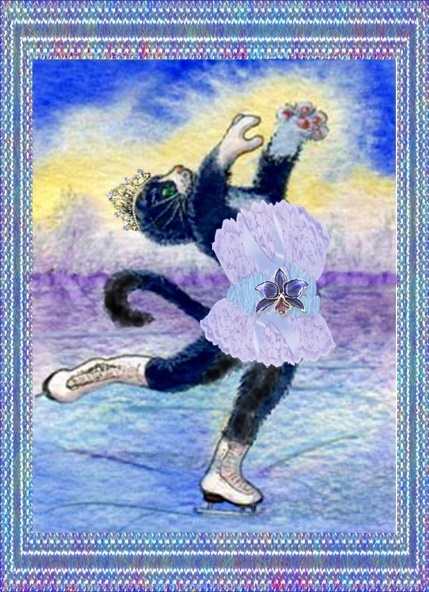 The next night, Domino purrforms her 'free skate' program to the mewsic of 'Swan Lake'. Once again she didn't put a paw wrong and receives roses and much apaws from the patriotic crowd. 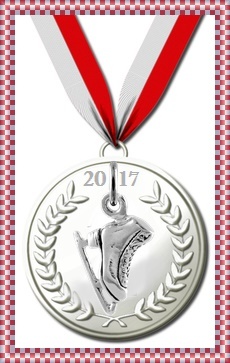 As well as all of her jumps in both the long and short programs, Domino landed a silver medal! She is thrilled and not at all disappointed that she didn't get the gold. "All dat shines is not gold" says she. 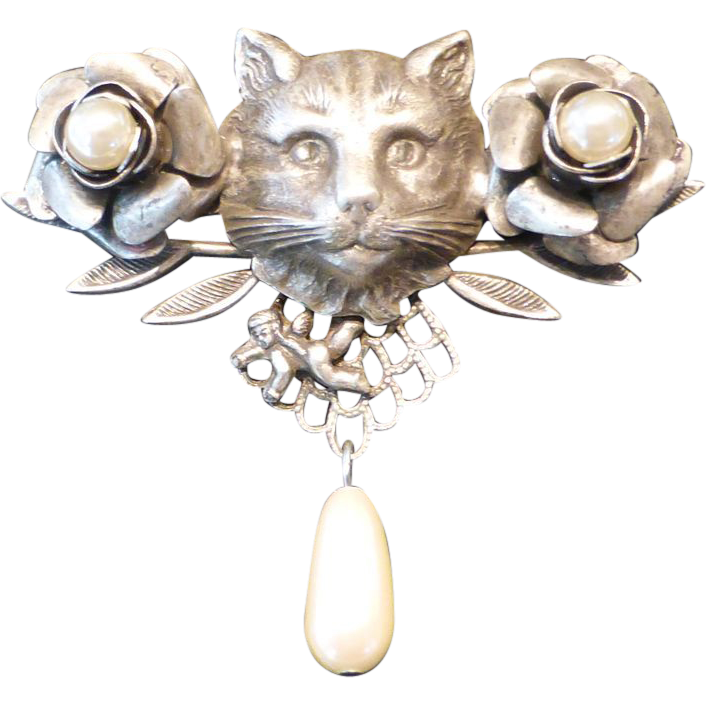 "Yoo kin cross my 'pawm' wif silver any time!" ... "Happyness is knowin' yoo rose above yoor greatist expectations." We are totally impressed sweet Domin! DYLAN IS HATUS MANUS CATUS: SURROUNDED! DYLAN IS HATUS MANUS CATUS: MY DEEREST FRIEND! DOMINO: HATTY CATTY SNOW BOUND! 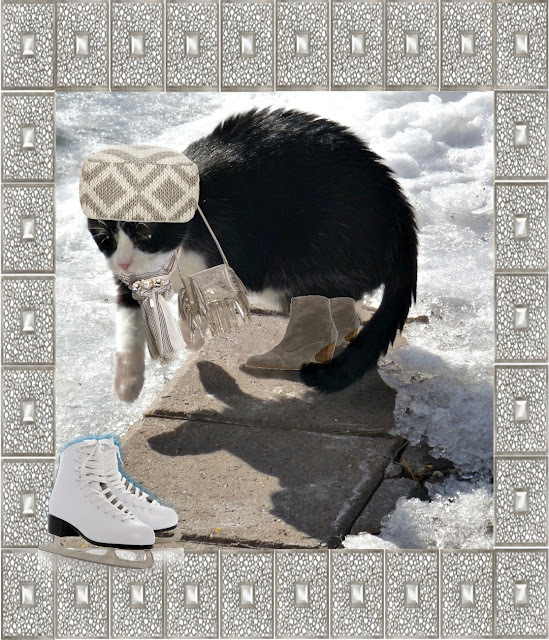 3-D WORDLESS WEDNESDAY: FREE SKATE FOR THREE!